The third generation of Holden Toranas included three vehicles: the LH, LX and the UC (see timeline). The LH was first in line built in March of 1974. 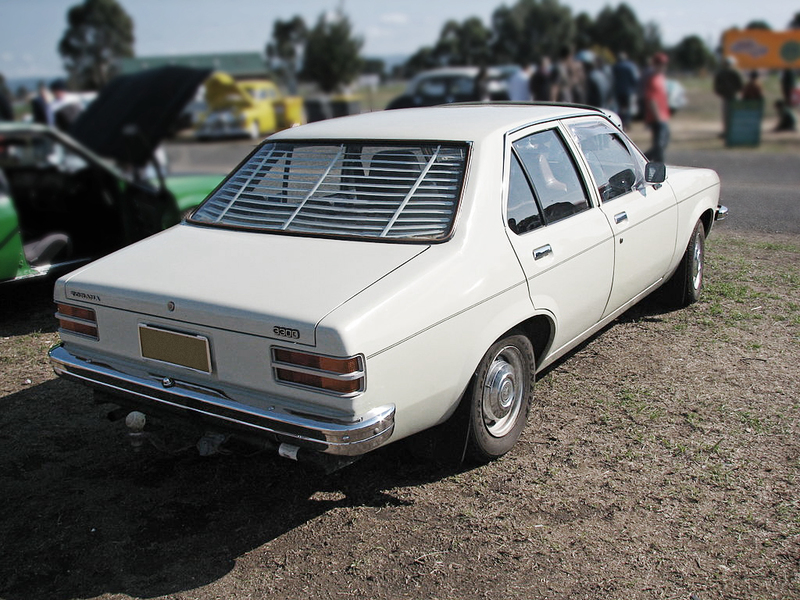 It was a brand new body style slightly bigger in a four-door style option and was the first medium Australian car. Although it did come with complaints despite its four-door sedan options, some said it overly cramped for the 1970 options available at the time. The LH Torana did resemble the Opel Ascona. 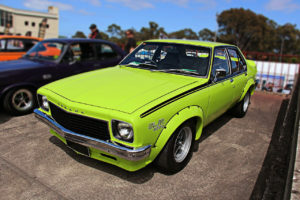 The LH Torana was an entirely Australia made car that did offer one four-cylinder option that was an Opel source 1900 engine. The LH Torana offered a four-cylinder engine, six-cylinder engine, and an eight-cylinder engine. The goal of this new generation of car was to provide more room inside, but capitalized on what was good about the previous models such as power to weight, the fantastic vehicle handling and the solid build that the model provided. The LH models provided stronger front and back bumpers with bolted front sheet metal for better protection. 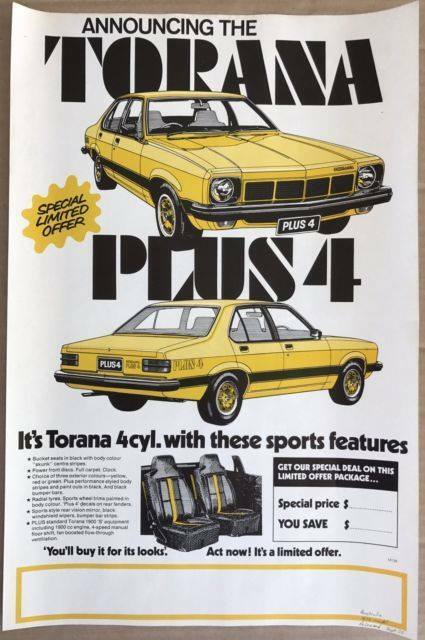 The LH Torana provided three different levels of models all four-door which included the Torana S, the Torana SL and the Torana SL/R. The Torana S and SL models came with engine options of four-cylinder (1.9 litre Opel engine – 1900cc), six-cylinder red engines (2.85 litre – 2850 cc or the 3.3 litre engine – 3300cc), and an eight-cylinder (4.2 litre engine – 4200cc). The Torana SL/R was equipped with a standard 3300 six-cylinder or an optional V8 5.0 litre engine. 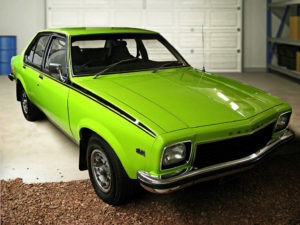 All four-cylinder models were equipped with round headlights roughly seven inches in diameter with different front grilles to differential the six-cylinder and eight-cylinder models who had rectangle headlights and the same grille. The exception as the L34 option discussed later. The Torana S was fairly basic with a bench seat in the front and nine inch drum brakes basic trim and instrumentation. The SL had bucket seats in the front with a bench in the back, carpeting available in the entire vehicle, with a walnut grain look on the dash, a clock, with power front disc brakes, and rubber bumper bar strips. The SL/R included full instrumentation, radial ply tyres, striping and four speed floor shift manual (the lower models had three speed column manual shift with four speed manual and Trimatic auto as an option). The Torana SL/R V8 model was dubbed the SL/R 5000 and sported front and back spoilers (air dams) with the SL/R 5000 decals on the front and rear of the vehicle. This vehicle was only available as four speed floor shift manual. It did lack the sport look such as wheels. In production the car was to be known as the GTR XU-2, but was never used. A special version of the SL/R 5000 was built known as the L34 Option, but only 263 were ever built. The idea was to provide more power and durability during racing. The wheel arch extensions were bolted on to allow for larger rims and tyres. The wheels were roughly 14 x 6 steel wheels. On the inside, the motor was the 5.0 litre V8 with a 308 block with bigger modified parts for bigger valves, rockers and exhaust. It had a manual choke, high output package and an engine cooler. This car was first produced in 1975 and was mildly successful. Although fast and quick it was not tough. Special model vehicles were built to entice sales in 1975. One was the Torana G-Pak. The G-Pak was exceptionally similar in specs to the HQ SS. 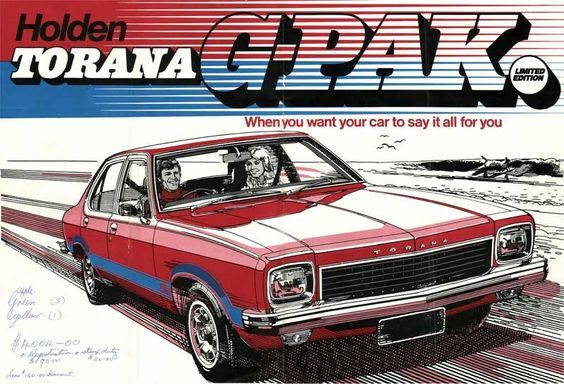 The Torana G-Pak was released in early 1975 as a poverty pack sport edition with bucket seats, centre console and SL/R-inspired instrumentation, 3.3 litre 6 cyl engine, 4 speed manual gerabox, performance rear axle, road hugging wide wheels, disc brakes and special striping. Acccording to a TV ad G-Packs got the lot. It was available in three colour combinations including Absinth Yellow with Tuxedo Black stripes, Jamaican Green with Tuxedo Black stripes and Mandarine Red with Blue Stripes. The G-Pack was said to mean Go Pack. The second vehicle was the Torana S which was then built with a 3300 engine with four speed transmission and power front discs. This Torana S also added bucket seats for comfort along with instrumentation from the SL/R and wheel trim with exclusive stripping and badging. Three colours were offered in red, yellow and green. A third was added in late 1975 called the Plus 4. This four-cylinder vehicle included bucket seats with carpeting, a clock and power front disc brakes. The purpose was to increase four-cylinder interest while creating a much enticing vehicle. The Plus 4 included decals, stripping, panelling, rear guards, SL/R wheels, and offered colours of red, yellow and green. 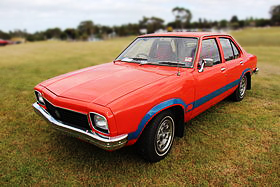 The vehicle was reproduced in 1977 with an A9X version in the LX Torana series. One of the main difference is in this vehicle was the engine. The engine was replaced with that of the LH Torana SL/R 5000 allowing for betting suspension and differential. The LH Torana ‘L34’ speed racer won the Bathurst 1000 race with Peter Brock and Brian Sampson driving in 1975. The vehicle won again in 1976 with John Fitzpatrick and Bob Morris driving. After the special versions of the LH Torana were built in 1974 and 1975 and some prototype versions of a wagon and hatchback were built, but they never reached actual production. The LH Torana reached a total of 70,000 production vehicles before shutting down. Lion logo (badge) features first major redesign since 1948. Torana S model actually had no S badge. Seating featured new foam filled design in lieu of Z springs. Underdash, foot operated parking brake on all models. New heater / demister design with fan boosted fresh ventilation. Factory fitted fully integrated Frigidaire air conditioning (HQ style) optional on all models. Six and V8 cars had T-O-R-A-N-A letters spread separately across front apron panel and boot lid. Four cylinder cars had an LJ / TA style Torana badge on rear panel between tail lights and also on left hand lower grille (except Plus 4). Fuel tank and lines underslung separately and mounted externally for safety. Six cylinder manuals used HQ style mechanical clutch linkage. Four cylinder and V8s used cable type clutch. Left hand drive cars had a hydraulic clutch. S and SL used two spoke HJ style steering wheel and SL/R used GTS three spoke item. Steering column was HQ / LJ design with combination ignition and steering lock. Glass area increased 35 per cent over LJ. 13 x 4.5 wheels on all models except SL/R. 13 x 5.5 wheels on SL/R (not L34) and optional on others. 14 x 6 inch rally wheels on L34 (these wheels are HQ / HJ GTS units offset one inch further outwards). HJ style international symbols and graphic on instruments and controls. L34 gearbox had normal M21 ratios of HQ / HJ 308 four speed, later cars used a closer ratio version with 2.32 1st gear (this box can be identified by the cluster gear part number 9939484). Six and V8 engines painted regular HK engine red.